For your best experience, we provide two demo import variants. Based on Demo click plugin and WP all migration. 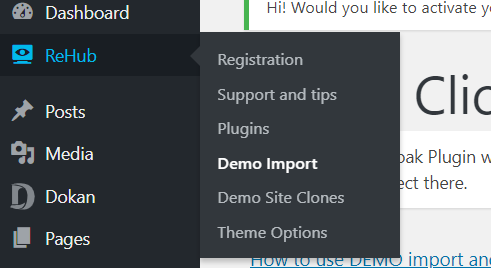 Demo click plugin is recommended, because when you use it, your existed content on site will be not affected, users, widgets, other settings will be safe. Wp all migration demo import is alternative way. It will delete your whole site and will replace it with demo content. So, all existed content will be deleted from your site and replaced by demo content. But, good this in WP all migration is that you don’t need to install plugins and configure them before import. To make quickly copy of demo site, you should register your license first. Go to Rehub Registation for instructions. Then, Go to Rehub Demo import . You will see there all available demo import files. So, just click on import button. 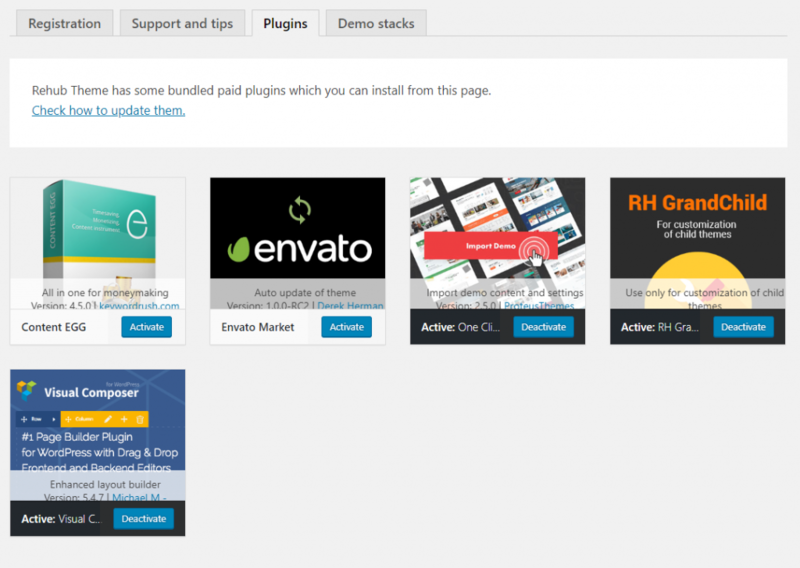 You will find that each demo stack has some required plugin and some recommended plugins + recommended options. If something is required but not active, you will see red notice and link where you can enable required option. Each demo has some required plugins and some optional plugins. 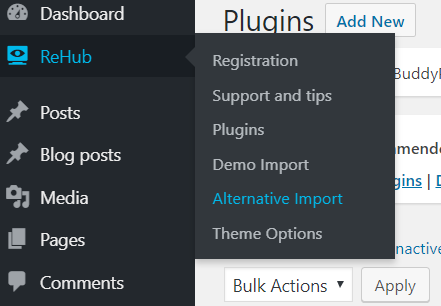 Some plugins are bundled with theme and some can be installed from wordpress repository. Some demo has enabled comparison function, but after import, comparison page can be set not properly. It’s because you had page with the same ID before import. So, go to theme option – dynamic comparison and choose there proper page for dynamic comparison.